New Look for Grocery Store Feet! | "Granny Beads and Grocery Store Feet"
New Look for Grocery Store Feet! Now THIS is a grocery store you can get grocery store feet walking around in! 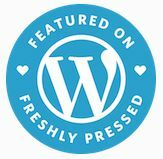 So, WordPress.com added a cool new theme called Matala and since I’d been using the Enterprise theme for the last year, I thought I’d try updating to something a little fresher and newer that looks older. It doesn’t put everything exactly where I’d put it, but the WordPress designers are way better with CSS and HTML and a dozen other code languages than I’ll probably ever be, so I’ll be happy with “good enough.” Y’all should cheer about that. I’m still OCD, but I’m letting go of a little control! In any event, this little update brings the total number of posts to 200. Two centuries worth of my thoughts down on paper — or electrons or whatever — you get the point. I hope the new look attracts some more readers, unless of course, my writing actually is horrible in which case I guess they are staying away in droves. As Yogi Berra once said, “Nobody goes there anymore; the place is too crowded!” That’s a problem I’d love to have, if for no other reason, my shameless ego. So, take a tour. See if you like it and if you do, let me and several friends know. If not, you can tell me and I’ll weep in the darkness alone about it and have a major setback, but I’ll recover. I do hope folks like it though. Otherwise, I spent five hours today wasting time!